If you are looking for a map of Croatia, you are at the right place! This is exactly what I am going to share with you in today’s article and include some bonus details and more in-depth maps of this beautiful country. Croatia is a small European country, but even so, you will still need a map or more in order to better plan your trips and make sure that you visit all the attractions, especially if you’re not doing it as part of a group that has already planned itineraries with you. And in case you need extra help, why not check out my top 10 days in Croatia itinerary? But back to today’s topic, this Croatia map blog post has been created to provide you with the appropriate travel map and help you plan your travel in Croatia. Things will be a bit different based on the means of transportation that you choose to get to Croatia (car, bus, train, plane or ferry from Italy). In these circumstances you might need an in-depth map, not any one but an appropriate travel map to help you move around the country. Today, most private or rented vehicles are equipped with quality GPS maps that covers also Croatia. In case you need one I suggest Garmin GPS maps. They offer complete road coverage of Croatia with thousands of business listings and other points of interest and even though they are not free, they offer the best information needed for a no-headache journey. But if you are like me – an old fashioned traveler who wants to keep costs low and do everything by himself, you still can get a detailed map of Croatia in front of you for free. Because, no matter how good a map is, you might still have to end up asking the locals (farmers, restaurant owners, postman, policeman) for directions. Locals will be glad to help you! To supply you with as much information as possible about Croatia I have added some maps that will help you understated the primary territorial subdivisions of the Republic of Croatia. 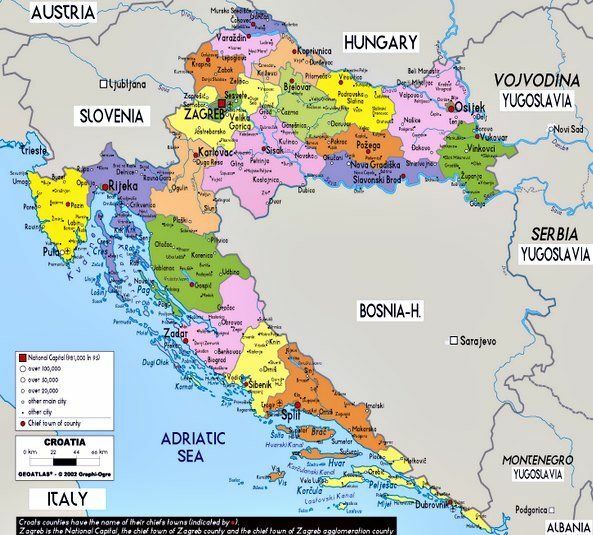 On the above map you can notice the principal cities in Croatia, starting from Zagreb (Croatia’s capital), Split, the second largest Croatian city and the unofficial capital of Dalmatia. Dalmatia is subdivided in three areas – the Northern Dalmatia (Zadar is the capital), Central Dalmatia (Split city) and Southern Dalmatia (Dubrovnik as a capital). If you’re interested in this area alone, I have published a map of Dalmatia to help. On the north, there is the Istria peninsula (Pula is the unofficial capital) and the Kvarner area (Rijeka is the biggest Croatian port in the area). On the Eastern side, we have Slavonija (the fertile plain) with Osijek as the capital. Below you also have a road map of Croatia, listing the important highways in the country – you will see that they are high quality roads, offering great connections between all areas here. 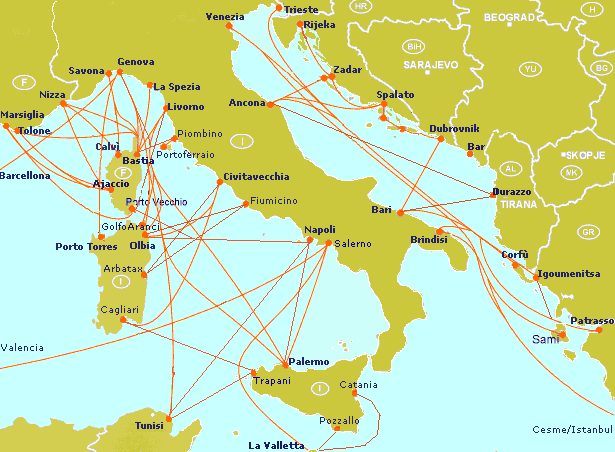 The only connection that has been cancelled is the ferry along the coast from Rijeka to Dubrovnik and back but hopefully it will be brought back in the following years as it was a pretty popular one. The above map of the Croatia National Parks will be of a great help for all the travelers looking for amazing natural beauties of the country and the main attractions that you must visit if you get here. Seven of these impressive national parks are situated directly on or in the vicinity of the coast, while the eighth National Park, Plitvice Lakes, is less than 200 km from the coast. And this would be all that I had to share with you in today’s article. I hope that these maps of Croatia will come in handy when you’re planning your next trip to the country – or when trying to decide where to go to next.